June was an awesome month in the Wahn household. Summer is in full swing, the garden beds are bursting, the girls practically live in the baby pool, and my days are split between play time and quilting. Unfortunately for Handsomepants, work has been crazy. June not only means the end of the fiscal quarter, but also the end of the fiscal year (he's a financial reporter for the state) and the state went live with an incredibly glitchy new computing system which has just compounded the normal stress of meeting work deadlines. I don't know how he likes his job, but he does, and I'm thankful for that. I've also gotten lots of quilting done this month! I've been able to get lots done and actually start preparing for a big, little something I'm thinking about launching in September, but I'll keep you posted on that as we get closer to launching! I'll admit that I may have overstepped my initial New Years resolution to publish a blog post every week. That's a goal that is overly ambitious so I'm changing my resolution to publishing a post every other week. Two quality posts a month is a more realistic goal to work with my daily schedule, be a present mother, and sleep at night. That being said, here are the links to June's posts in case you missed any of them. 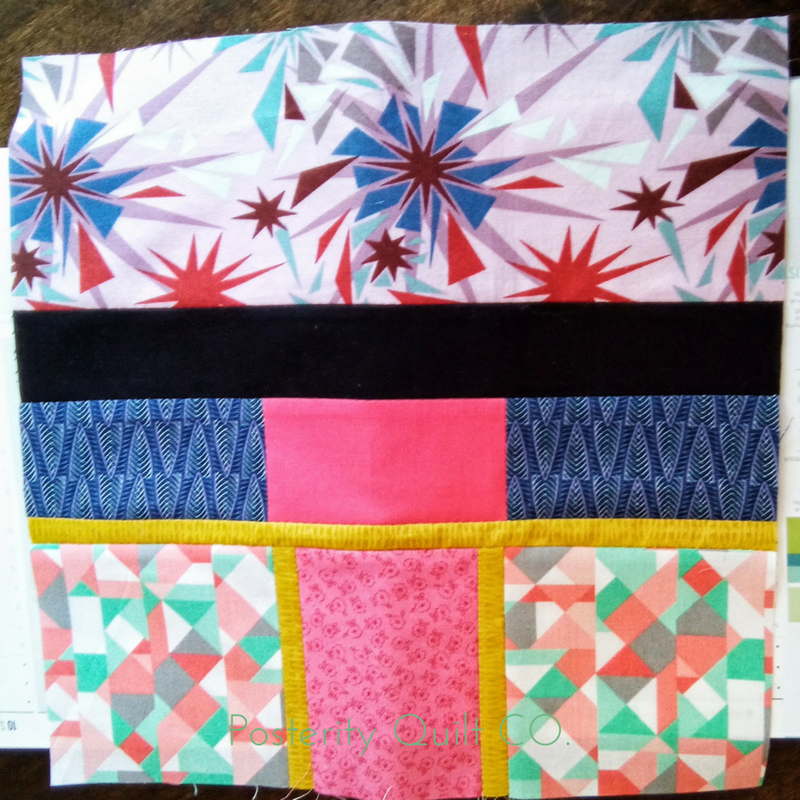 The Quilter's Planner QAL treated me very well this month. I made the community spotlight on Angie's blog over that GnomeAngle again! And I won the monthly drawing - woohoo! Deanne over at Stitches Quilting sponsored May's giveaway, a generous $100 gift card! It very quickly burned a hole in my pocket when I picked up two fat quarter bundles (Arbor Blossom by Nadra Ridgeway and Posy Garden by Carina Gardner both for Riley Blake), a new Olfa cutting mat, and some fork pins (which are amazing!). And because Deanna is so awesome, she also sent me a mini charm pack of Bitter Sweet by Sue Daley Designs for Riley Blake. I'll admit that i missed this one this month! Good thing there are no penalties for falling behind! Bust! Instead of trying to finish one of the many quilts awaiting quilting or binding, I decided to start a new project. It's what I do people, don't hold my character flaws against me! A couple of years ago at a quilt fair in Denver I waited until the last moment to to buy fabrics, and I made out like a bandit snagging up super deep discounts. One of the things I bought was a bag of precut 3" squares for $1! The fabrics were all calicoes or gingham, and to be honest, not all of the patterns appealed to me, but it was a $1! I dug out the bag and grabbed an old white sheet and started making Granny Squares. I have another post coming up about it, so keep tuned for that! I did restart a baby quilt though! A good friend is having her second baby and I transferred a couple of embroidery patterns onto negative space on the quilt top that I'm going to use instead of a free motion quilt pattern. I wanted a sweet, floral feel for the quilt, and nothing beats vintage embroidery for that! 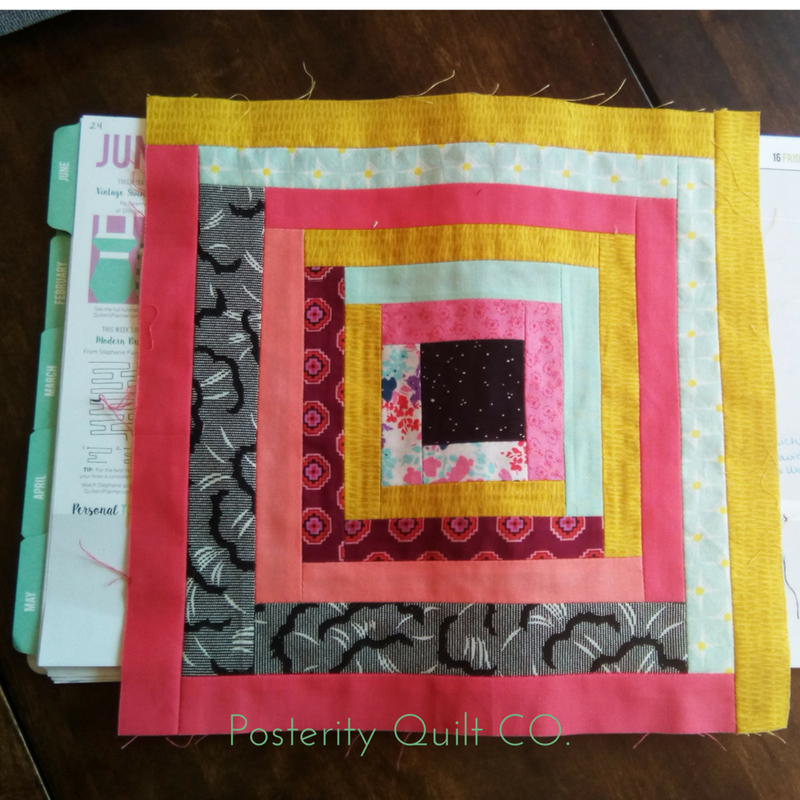 I'll talk about why July was such a bust for me in the July Recap post, but I hope that August is just as productive in quilting that June was! Hope you guys have all been having a great summer!